A soothing and nurturing full-body massage alleviating stress and tension and encouraging a deep sense of relaxation, with organic oils to nourish and beautify the skin, and essential oils to enhance the experience. Head, Neck, Back, Shoulders & Feet. A rejuvenating massage offering a quick pick me up! An eclectic approach combining techniques relieving stress and tension, and will leave you with a heightened sense of well-being. Registered for Health Fund Rebates - Refer to "Bookings Page" for details. A treatment tailored towards your individual needs! Techniques are applied to locate, treat and alleviate musculoskeletal injury and conditions causing pain and dysfunction or decreased range of motion. Techniques may include stretching, mobilization, deep tissue, cross friction, myofascial release, and trigger point therapy. Get the best of both worlds with a massage that begins with remedial and concludes with relaxation. Techniques are applied to locate, treat and alleviate problem areas with the aim to decrease tension, tightness and pain, and increase range and ease of movement. The treatment concludes with techniques to encourage and support rest and relaxation. A relaxing and nurturing Prenatal Massage specifically tailored to the needs of the mother to be. During a pregnancy massage, the mother’s body is properly positioned and supported, using pillows and special padding. Proper positioning ensures comfort and safety for the mother and baby. We use an electronic massage table that offers outstanding comfort and is fully adjustable. Preganancy belly pillows available if suited to the client. Enjoy a profoundly calming and enriching experience of warm sesame oil flowing in a gentle stream over the third eye and forehead, and bathing the entire scalp. 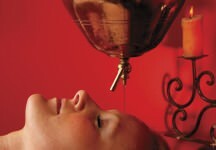 Shirodhara is an excellent treatment for stress, tension and anxiety, or practiced purely for relaxation purposes. The treatment concludes with time for rest and assimilation, followed by a shower with a beautiful range of complimentary shampoo, conditioner and body cleanser. Highly recommended to follow Relaxation and Rejuvenation massage. The perfect gift! Beautiful gift vouchers available for birthdays and all/special occasions. 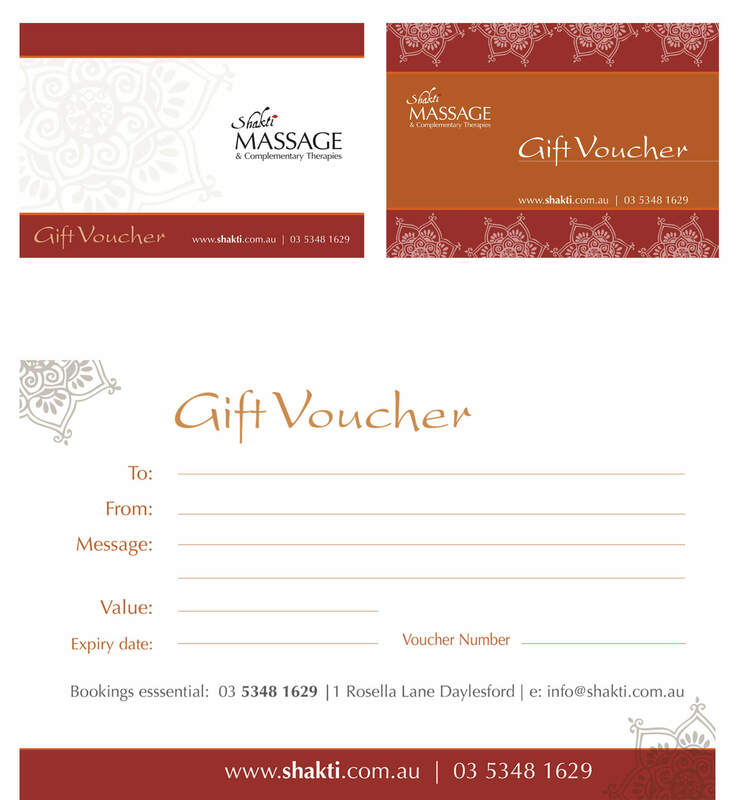 Gift vouchers may be purchased for a particular treatment/s or by $ dollar amount, and can be collected, sent via direct mail upon request, or attachment via email.